The first hostel at Lundamatwe was built with MMF donations in 2013. There is high demand for places. After the success of the first hostel, the community mobilised to build a second. They succeeded building up to window level, but couldn't finish because of other demands for school infrastructure. Your donations have made it possible to finish the second hostel, so that more girls can stay safely at school. The hard work from the local community has paid off and the hostel will be completed in the next few months. The school has also planted 3 acres of maize to provide food for the girls and started a chicken project, with your support. This has a major benefit for girls from the poorest families who face food shortages at home. If the families cannot provide enough food for three meals a day, the girls are not allowed to stay in the hostel. 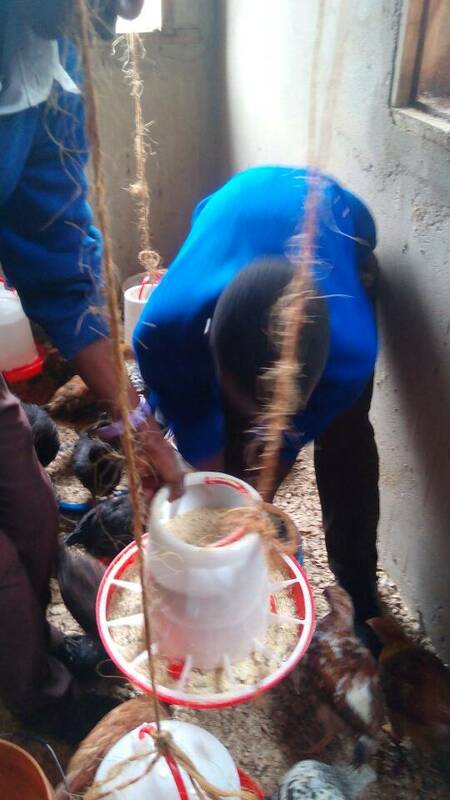 School food production is the best, sustainable solution.